In 1947, at the age of twenty-three, Kevin Andrews received a fellowship to study medieval fortresses in the Peloponnese. 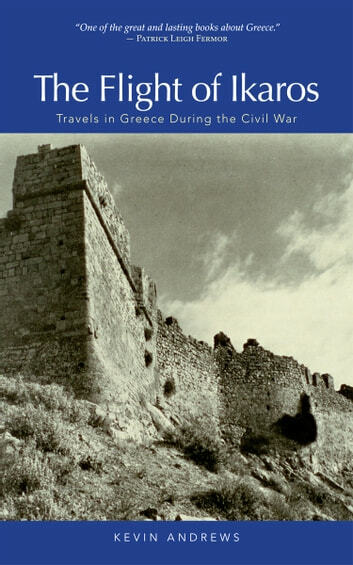 This opportunity to travel through areas little-frequented by foreigners—during and just after Greece's civil war, and before the advent of tourism, industrialization, or easy communications—brought him into immediate contact with village populations, shepherd clans, and the paramilitary vigilantes who kept their own kind of order in the provinces, as well as with the displaced peasants of the Athenian slums. His intense experience of Greek life and his embracing of the Greek people take shape in The Flight of Ikaros. Paul Dry Books is pleased to bring this modern travel classic back into print.